Until now, tilt-shift videos required very expensive lenses for your DSLR or a professional video editing software to edit your video and simulate the effect. In both cases, you also needed a good deal of patience. Not anymore, now you just need this App! 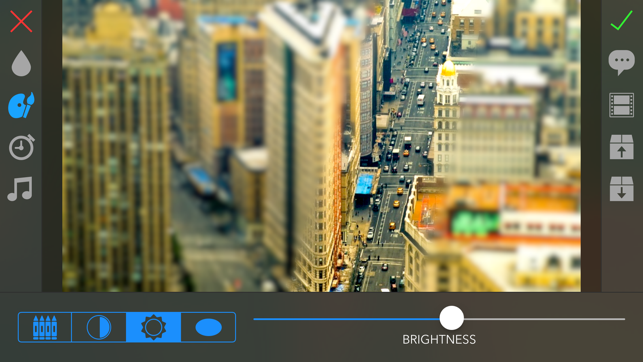 TiltShift Video App uses the processing power of your iPhone, iPod Touch or iPad to quickly apply the tilt-shift effect to your videos & photos. Designed to be easy to use, but highly customizable, all the editing options are at the tip of your finger. The preset functionality will let you save your favorite settings and apply them later as filters to any video or photo. 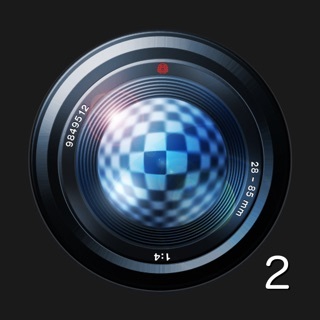 Download TiltShift Video now and start to "miniaturize" your world! 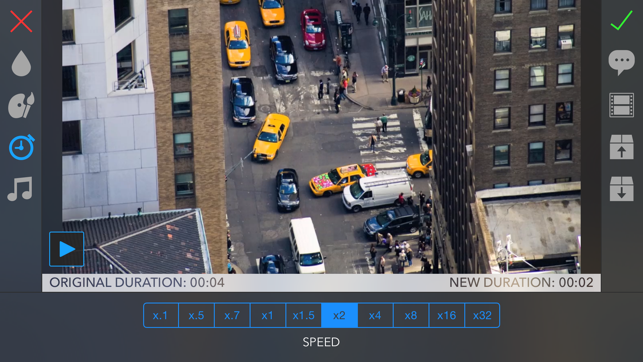 + Transform any video recorded with (or synchronized to) your device into an awesome tilt-shift video. + Process images from your Photo Library or extract still frames from your videos. + Change the speed of your videos: Speed them up to simulate time-lapse sequences or slow them down to create slow motion videos. 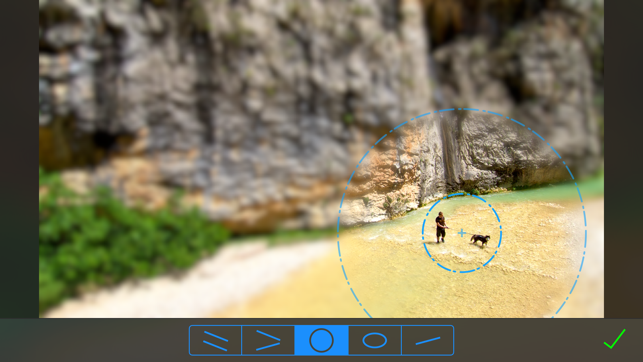 + Use multi-touch gestures to adjust the blur strength and position to get incredible "miniature" effects, simulating tilt & shift lenses. 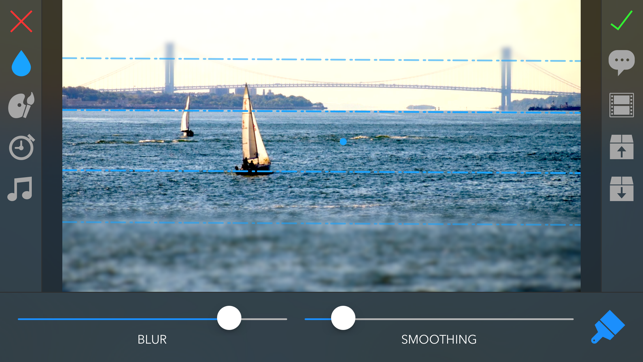 + Easily adjust your video saturation, contrast, brightness and vignetting to get the best results. 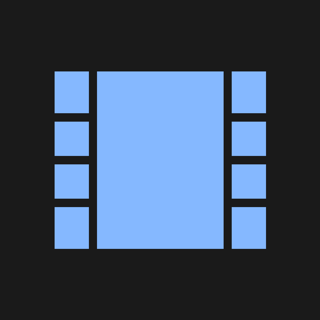 + Export your videos in Full HD, HD or choose between the other export presets. Each update gets better! Stay tuned for new features and improvements. Questions? Problems? Suggestions? I would love to hear from you! Please send me and email to tiltshiftvideo@flainezapps.com. Note that if you leave a support question in the comments, I will not be able to write you back, so just shoot me an email instead. - Updated for iOS 9: It takes advantage of many of the latest and greatest iOS features. - Better integration with your Photos Library. Thank you very much using TiltShift Video. 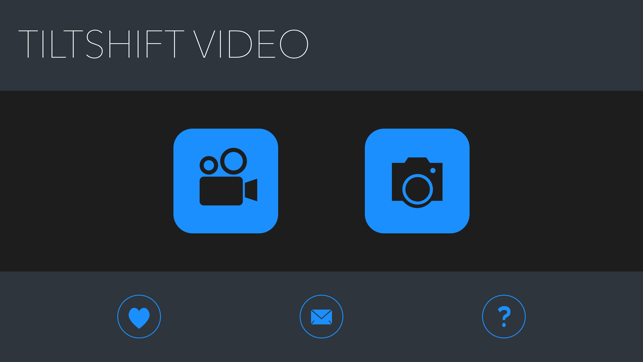 New features are still in development and they will be included soon, so don’t hesitate to send your feedback, suggestions and requests to tiltshiftvideo@flainezapps.com . Thanks to Fidel for keeping this app great. I've been using this for years and have never had any issues with it. Support is fantastic as well. 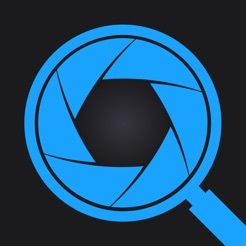 This is a must have app and puts a nice "shine" on your clips. Useful for much more than just miniaturizing. Use it to adjust saturation, make nice shallow depth of field etc. 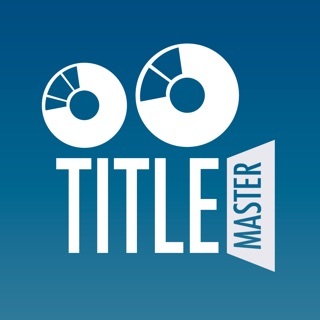 Great app, Thanks again to the developer for my "go to" video app! I primarily use this for still images, and the forced landscape orientation on a portrait still image feels like I'm trying to edit a thumbnail image. The quality is great nonetheless, but please rectify this somehow, as I often have to export the edited image to see if I like it or if I have to reimport and reedit. This app is fantastic! I am impressed. The user interface is slick and intuitive. The app is very fast and full featured. Well worth the money.